We have visited the National Railway Museum in York several times, but this is the first time I've visited the sister museum in Shildon. Since my previous review of the National Railway Museum in York my son has taken a real liking to trains and railways. He's become a big fan of one engine in particular which is the Mallard which holds the record for the worlds fastest steam locomotive. 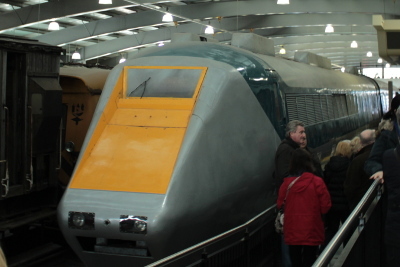 The Mallard is normally a static display at the National Railway Museum in York. 2013 was the 75th anniversary of the world record breaking run and to celebrate the anniversary the National Railway Museum arranged a special event called The Great Gathering where all six remaining class A4 pacific locomotives (including the Mallard) were brought together. This was a significant undertaking as two of the engines are now owned by museums in the US and Canada. We visited The Great Gathering which enhanced my sons interest in the class A4 pacifics. The final event for the Mallard 75 celebration was called The Great Goodbye and was held at Locomotion in Shildon and so we arranged a trip to that as well. Whilst I would have liked to have visited the museum in Shildon anyway, I have not visited that part of the UK much that we may never have visited if it weren't for The Great Goodbye. I took my son to The Great Goodbye as a special birthday treat. Due to the distance from our home we split the journey up by staying with relatives and stayed overnight at Washington in Tyne and Wear. The Great Goodbye features all six class A4 locomotives lined up outside. The three engines that are in working condition had their engines lit. Although they were not actually moving on the day we visited seeing smoke and steam coming out of the chimneys made them feel more 'alive' than when they were on an indoor static display at York. The Great Goodbye was a very big event attracting people from all over the country and beyond. It was a huge event with more visiting the week long event than normally visit the museum in a year. Considering the numbers the event went surprisingly well, although we did arrive early in the day so didn't have to join the much longer queues later in the day. The museum is free to visit asking only for a voluntary donation. There was a car parking charge during the great goodbye, but normally parking is free as well. 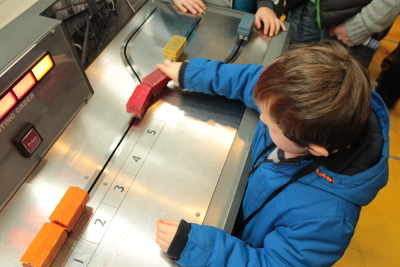 Indoors there are many static locomotives on display as well as some fun interactive activities for children. As well as some classic steam locomotives there are some a bit more modern. Including prototypes of the ill-fated Advanced Passenger Train (APT). I was impressed by the museum, especially as it is free to visit (suggested donation optional, but helps to support the museum). It is too far for us to make a special trip to see it, but the special event made the long drive worthwhile. I'd certainly like to visit again if I'm in the area.